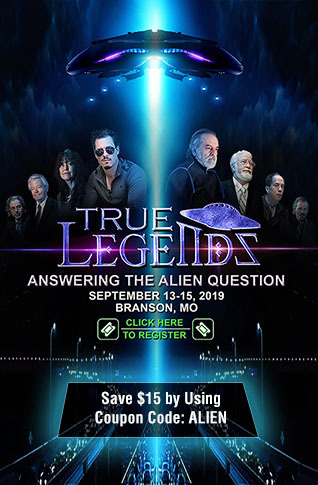 Humanity Is Under Full Scale Attack As Experts Warn: 'The Dangers Are Real' - Are The '5G Killing Fields' That Are Coming To America Part Of The Globalists Depopulation Agenda? Back on July 23rd of 2017 we published a story on ANP titled "Experts Warn New Tech Will Create 'Invisible Killing Fields' Across America And 'Gestapo-Like Tactics' Are Being Used To Silence This Information" within which we warned the forthcoming rollout of 5G Wi-Fi across the country could lead to profoundly negative health effects and a massive cover-up of pertinent information was ongoing at the highest levels. As we enter 2018 and move even closer to 5G radiation waves being used all across America, ANP reader 'Baconette' recently asked that we look a little deeper into 5G to find out what else we can learn about it and as we see detailed within this new ANP story, the fast-tracking of 5G across all 50 US states could lead to numerous serious health problems. As the website My Daily Informer reported back on January 17th in their story titled "The Cooking Of Humanity - 5G ATTACK PLANS - And More Bad News", between chemtrails raining down upon our heads containing heavy metal toxins like aluminum and barium, big pharma poisons becoming the leading cause of death for younger Americans and nano fibers being forced into our bodies, the human race is under full scale attack as they race to replace us with AI. In this new Reddit thread that 'Baconette' recently linked to within our breaking news thread they report that "while everyone is being distracted with Vegas and cannabis, we're being FOOLED ONCE AGAIN!" within which they break down for us the reasons why 5G is so harmful to our bodies - it can kill us. Is 5G part of the depopulation agenda? Some of the information shared below is being warned of by numerous websites right now including the Environmental Health Trust, Dr. Axe, A Sheep No More and Natural News among many others. Every living thing is harmed by Ionizing Radiation. As the densely packed waves bounce off cells in your body they cause minor damage, as your body repairs this damage, occasionally the process results in cancer. They didn't need to, they know 24GHz - 90GHz will kill you, especially at the levels of signal saturation required to reach everywhere. Milliwatts per square meter is how they measure Electromagnetic Frequency Exposure and 2.5 is the highest amount reported to be safe as of 2013. The amount measured when laying a meter on a new ATT residential 5G router was 1800+. Now make that commercial and Imagine the overlap and omni directional bombardment of walking through a mall, school, city street and your 1000+ living room doesn't seem so bad anymore. This is microwave radiation, they took the device that cooks your food out of the microwave, modified it for data and plan on placing them everywhere. This is the technology they use at airports that can see through your clothes. They can literally boil the water in your skin. I can only imagine the things they could do to your brain, but it might explain why, for as long as i can remember, there have been zombie movies. In searching for stories which detail the negative health effects of 5G we came across this 2017 story from the website Electric Sense which warns us of 11 reasons that all Americans should be concerned about the rollout and dangers of 5G. We have decided to publish an extended excerpt from their story below as a public health warning as this is extremely important information. 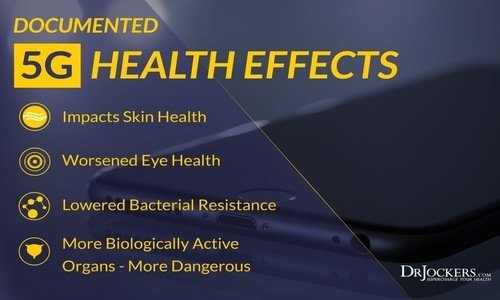 As our author tells us, the negative health effects from 5G go from our brains to our cells to our skin to our immune systems and experts warn not only is 5G radiation a carcinogen but the National Toxicology Program concluded radio frequency radiation of the type currently used by cell phones can cause cancer. 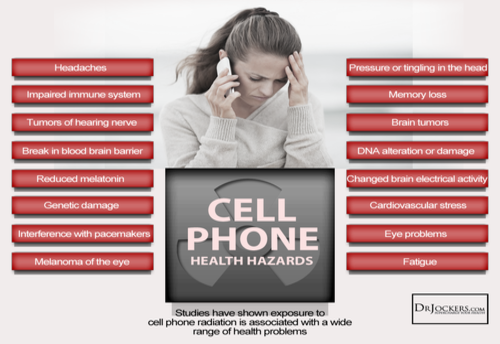 More recently the $25 million National Toxicology Program concluded that radio frequency radiation of the type currently used by cell phones can cause cancer. We thank 'Electric Sense' for this extensive documentation of 11 reasons we should be concerned about the rollout of 5G across America. After looking over this list, are there any reasons why we SHOULDN'T be concerned? Much more below including several new videos including one explaining how we can protect ourselves from 5G radiation. But where does 5G fit into all this? Given that 5G is set to utilize frequencies above and below existing frequency bands 5G sits in the middle of all this. But the tendency (it varies from country to country) is for 5G to utilize the higher frequency bands. Which brings it’s own particular concerns. Here is my review of the studies done to date – 11 reasons to be concerned. #1 – A DENSER SOUP OF ELECTROSMOG We’re going to be bombarded by really high frequencies at low, short-range intensities creating a yet more complicated denser soup of electrosmog. #2 – EFFECTS ON THE SKIN The biggest concern is how these new wavelengths will affect the skin. The human body has between two million to four million sweat ducts. Dr. Ben-Ishai of Hebrew University, Israel explains that our sweat ducts act like “an array of helical antennas when exposed to these wavelengths,” meaning that we become more conductive. #3 – EFFECTS ON THE EYES A 1994 study found that low level millimeter microwave radiation produced lens opacity in rats, which is linked to the production of cataracts. An experiment conducted by the Medical Research Institute of Kanazawa Medical University found that 60GHz “millimeter-wave antennas can cause thermal injuries of varying types of levels. #4 – EFFECTS ON THE HEART A 1992 Russian study found that frequencies in the range 53-78GHz (that which 5G proposes to use) impacted the heart rate variability (an indicator of stress) in rats. Another Russian study on frogs who’s skin was exposed to MMWs found heart rate changes (arrhythmias). #5 – IMMUNE SYSTEM EFFECTS A 2002 Russian study examined the effects of 42HGz microwave radiation exposure on the blood of healthy mice. It was concluded that “the whole-body exposure of healthy mice to low-intensity EHF EMR has a profound effect on the indices of nonspecific immunity”. #6 – EFFECTS ON CELL GROWTH RATES A 2016 Armenian study observed MMWs at low intensity, mirroring the future environment brought about by 5G. Their study conducted on E-coli and other bacteria stated that the waves had depressed their growth as well as “changing properties and activity” of the cells. The concern is that it would do the same to human cells. #8 – EFFECTS ON PLANT HEALTH One of the features of 5G is that the MMW is particularly susceptible to being absorbed by plants and rain. Humans and animals alike consume plants as a food source. The effects MMW has on plants could leave us with food that’s not safe to consume. Think GMOs on steroids. The water that falls from the sky onto these plants will also be irradiated. #9 – EFFECTS ON THE ATMOSPHERE AND DEPLETION OF FOSSIL FUELS Implementation of the 5G global wireless network requires the launching of rockets to deploy satellites for 5G. These satellites have a short lifespan which would require a lot more deployment than what we’re currently seeing. #10 – DISRUPTION OF THE NATURAL ECOSYSTEM Since the year 2000, there have been reports of birds abandoning their nests as well as health issues like “plumage deterioration, locomotion problems, reduced survivorship and death,” says researcher Alfonso Balmori. Bird species that are affected by these low levels, non-ionizing microwave radiation are the House Sparrows, Rock Doves, White Storks, Collared Doves and Magpies, among others. But it’s not just the birds. The declining bee population is also said to be linked to this non-ionizing EMF radiation. #11 – MOST 5G STUDIES MIS-LEADING 5G will use pulsed millimeter waves to carry information. But as Dr. Joel Moskowitz points out, most 5G studies are misleading because they do not pulse the waves. This is important because research on microwaves already tells us how pulsed waves have more profound biological effects on our body compared to non-pulsed waves. Previous studies, for instance, show how pulse rates of the frequencies led to gene toxicity and DNA strand breaks. While the so-called benefits of 5G include higher internet connection speeds as well as the ability for the entire home to be connected to the internet, one example being your washing machine will be able to order its own detergent when it runs out, those who've been studying this warn the adverse health effects far outweigh the benefits. In this February of 2017 story from Natural News they reported the Federal Communications Commission abandoned public safety by pushing out the untested 5G network upon the public with the following line the opening sentence to their story: "The scientific dictatorship marches on. And there’s no stopping it." 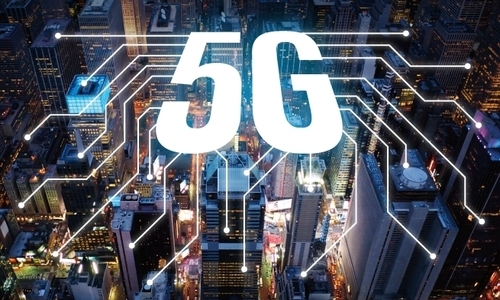 As we had reported in our July of 2017 story, a massive cover-up appears to be ongoing regarding the dangers of 5G and should we expect anything different? As cell phone companies clamor over each other with the "5G hype machine kicked into overdrive", dollar signs dance in the heads of companies who'll make billions off of this new technology while Americans suffer and die from it. A huge thanks to ANP reader Linda Smith for posting the next 2 videos in our breaking news comment section.